Wow! Coming on the heels of a California politician being arrested for spanking his kid, now we have this! The “perpetually offended” left is out of control! 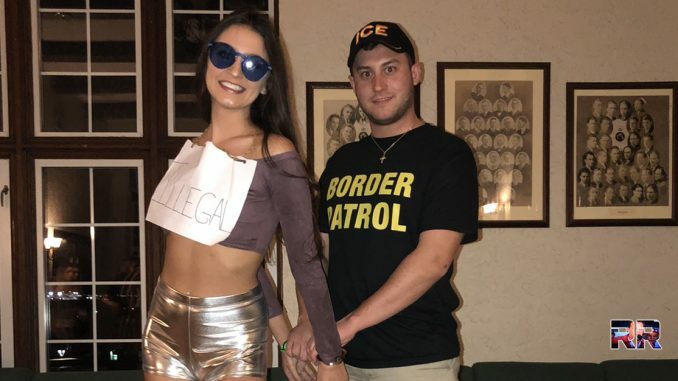 In the letter (attached below), Assistant Dean LiDell Evans informed Joseph Cortese, a fourth-year student, that he was required to attend a meeting on Friday concerning an investigation about a photo he posted on Instagram of himself dressed as a Border Patrol agent for Halloween. 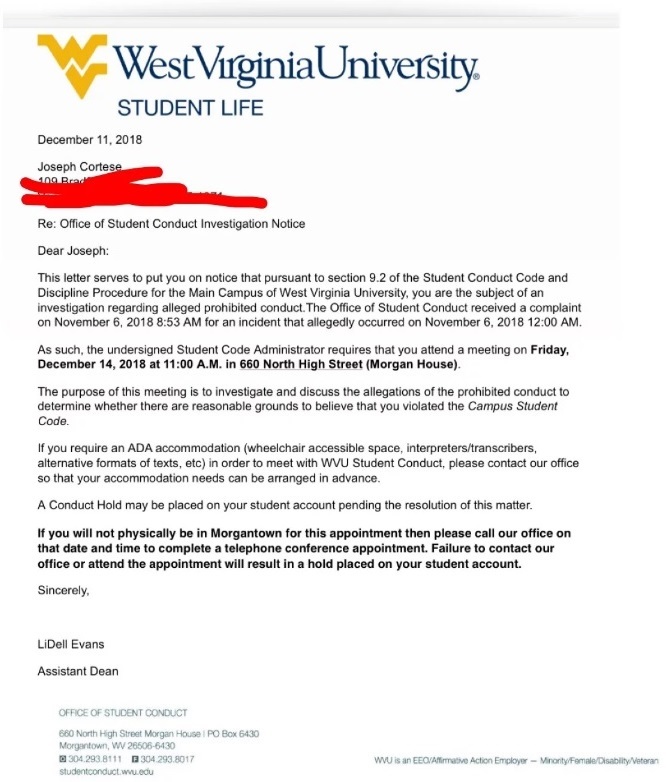 “This letter serves to put you on notice that pursuant to section 9.2 of the Student Conduct Code and Discipline Procedure for the Main Campus of West Virginia University, you are the subject of an investigation regarding alleged prohibited conduct,” Evans wrote. The email also informed Cortese that if he did not contact the office or attend the meeting, his student account would have a “hold” placed on it. “I know I didn’t do as well on my finals as I should have due to this,” Cortese added. The email detailed that the complaint was received on November 6. The photo was posted before Halloween. Be careful what you wear out there, folks. You might offend someone & they’ll cry about it.